The end of scarcity has arrived! 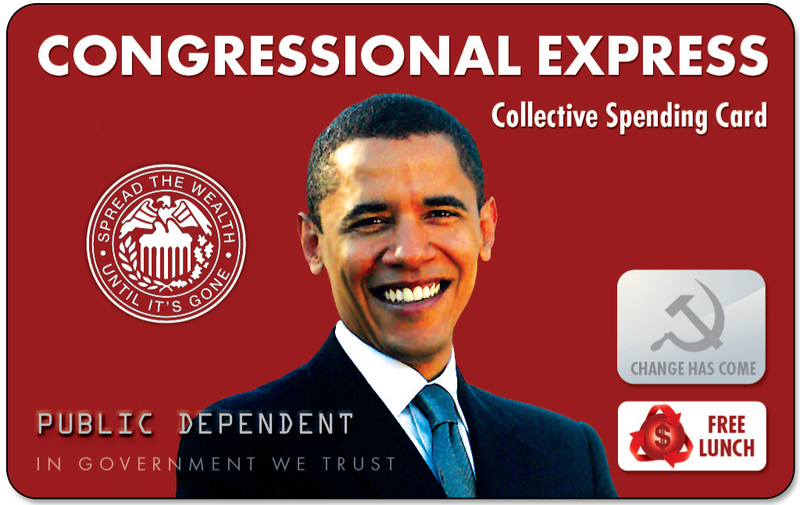 Liberty Propaganda is proud to announce the Obama Card by Congressional Express! Productive work is a thing of the past. 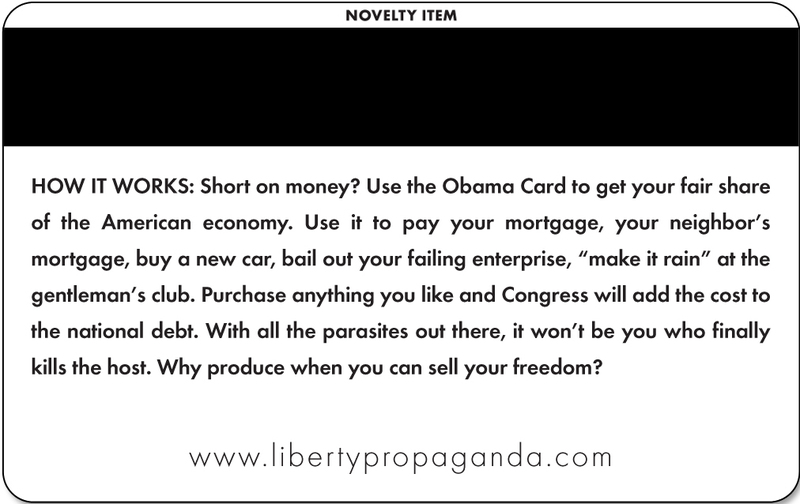 Order your Obama Card today, and you too can become a full-time consumer--courtesy of the wise and benevolent United States Congress! Opponents of change drone on about the possibility that someday in the not too distant future, a piper will come looking for a paycheck. "Well," says the government, "we won!" In the words of economist and famous government lapdog John Maynard Keynes, "In the long run, we'll all be dead!"